Cook chicken pieces with little pepper powder and salt adding water. 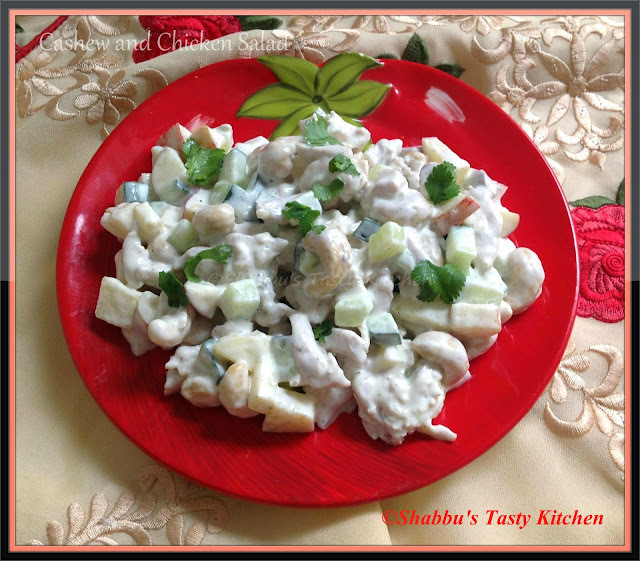 In a bowl, add the cooked chicken cubes, chopped apple, cucumber, cashew nuts, little pepper powder, sugar and salt and mix well. Then add mayonnaise and mix well.